PLEASE NOTE: After this press release was issued we received additional replies from local authorities. That additional data has been included in the full tables linked to at the bottom of the press release but not in the summary totals table immediately below. “These figures are likely to be the tip of the iceberg. Many drivers will be put off by the time involved in claiming against a council, and many councils do their best to deter claimants coming forward. “But the fundamental problem lies not at the doors of our town halls but with central government. Despite occasional one-off grants related to periods of harsh weather, they are simply not giving councils enough money to keep their road networks up to scratch. “In England, local authorities themselves estimate the maintenance backlog to be about £12 billion yet over the past five years spending on roads in real terms has dropped 22% across England and Wales. “Worn out road surfaces do not simply cause damage to vehicles they are also potentially lethal, particularly for two-wheeled road users. 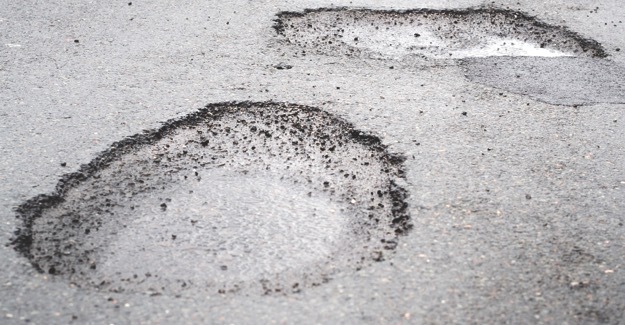 According to the annual ALARM survey of local authorities the current backlog of road maintenance work on local roads in England and Wales is £12 billion.